CHICKENS & TURKEYS, LIKE PEOPLE, ARE CREATED EQUAL BUT SOME BIRDS ARE DESTINED FOR GREATNESS. WE LIKE TO THINK OUR FABULOUS FLOCKS QUALIFY FOR THE LATTER. 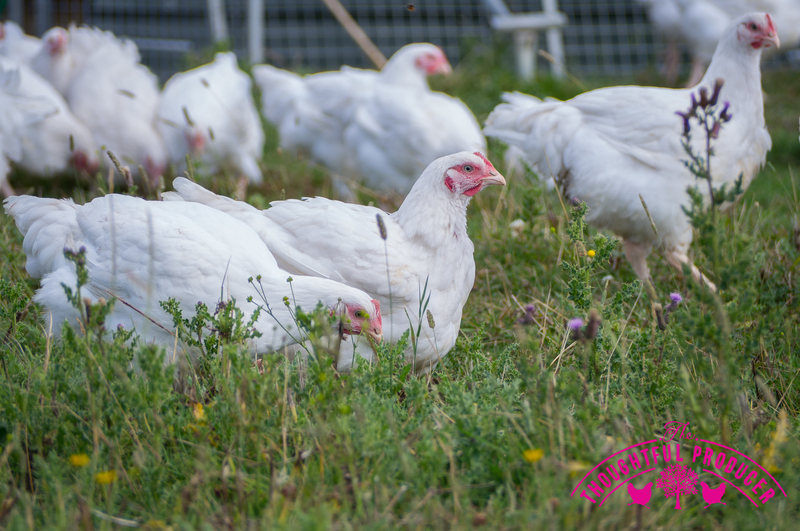 Ranging for over three times longer than standard chickens, and two times longer than standard turkeys, with room to roam across sprawling fields, our ladies are given the opportunity to become truly remarkable birds. Expert foragers, cocooned in the heart of the countryside our ladies are not afraid to take on the mighty worm, climb a crate or just let the breeze ruffle their feathers. We like to let nature (and our husbandry team) do all the hard work so that our birds are free to do what birds do best, in their own time. Our chickens mature to 10 weeks old and cockerels, which produce the larger birds, to around 15 weeks. To preserve and protect nature’s bounty we make sure our high standards are carried through into production where our chickens are dry plucked. Some are game hung for up to seven days for a delicious gamey flavour. We ensure that, from egg to table, we have done the very best by our birds, ourselves and our customers.